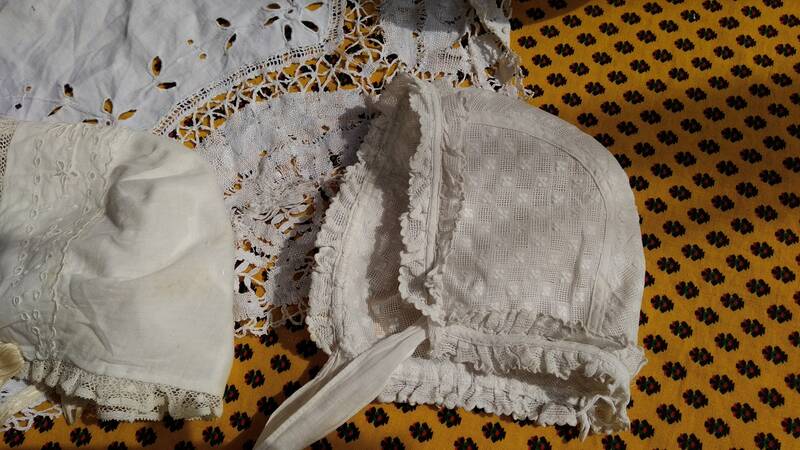 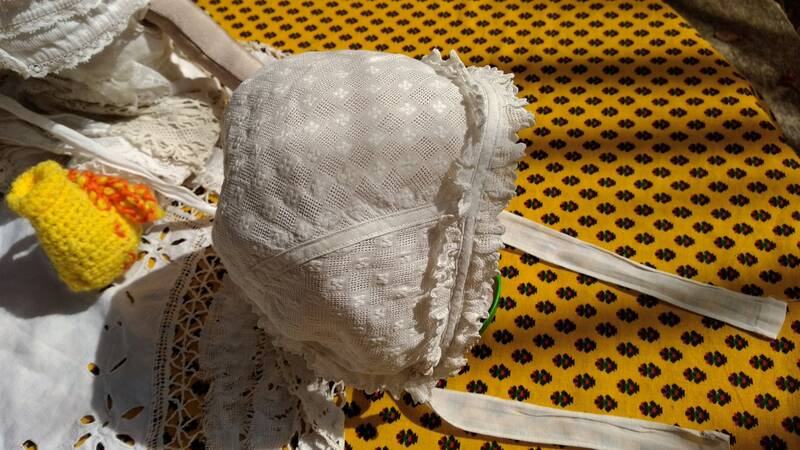 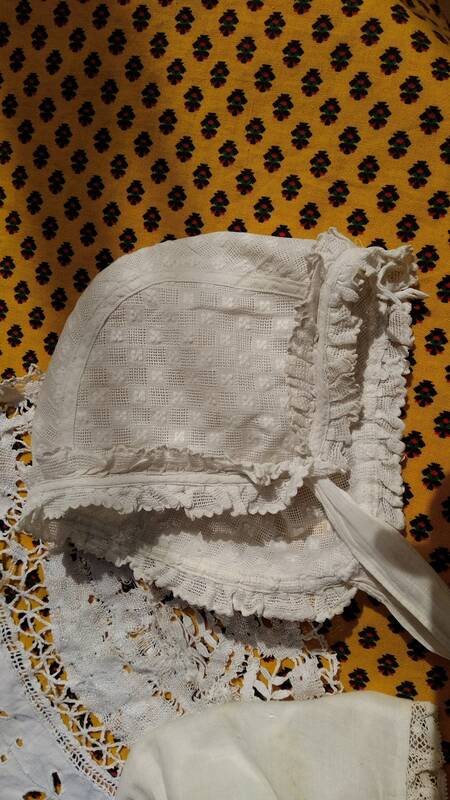 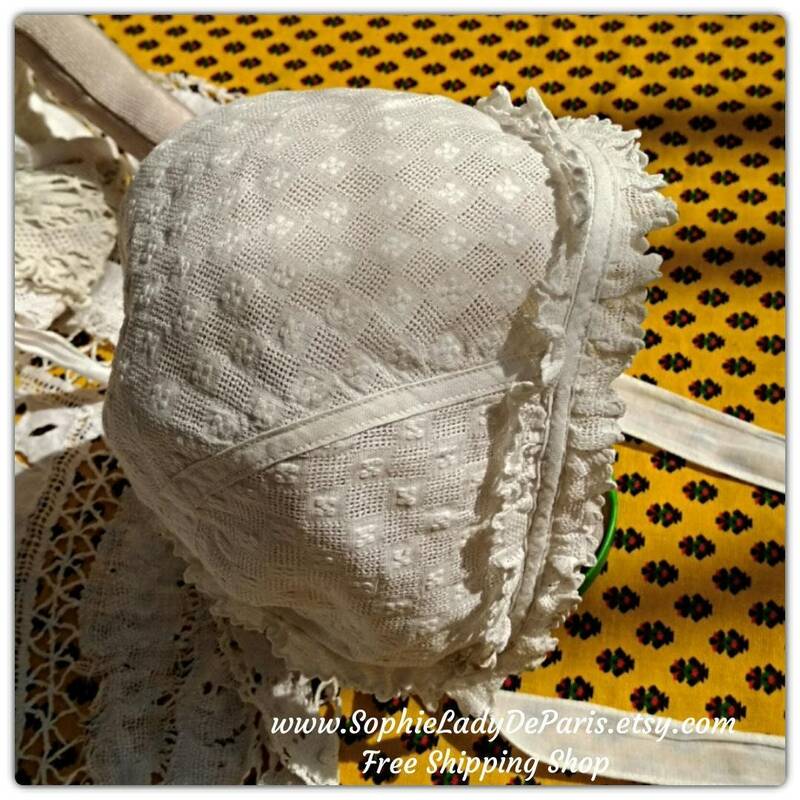 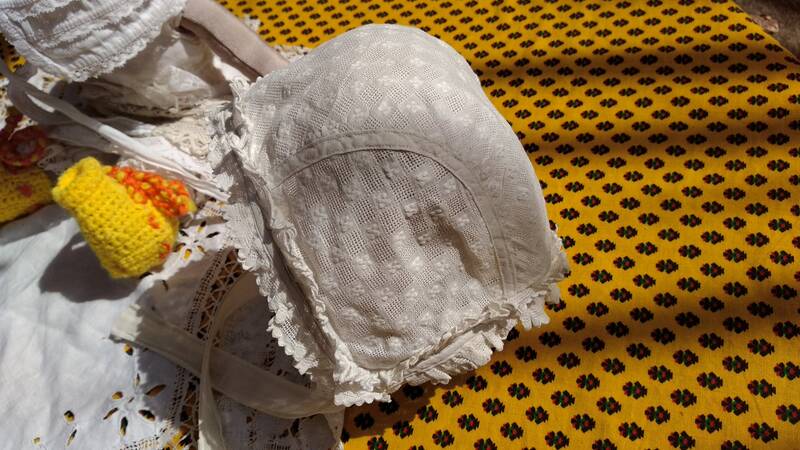 Antique French Embroidered Baby Bonnet. 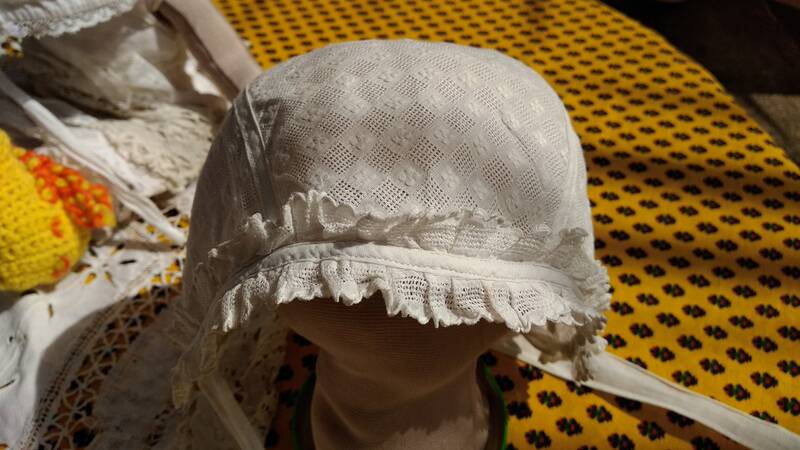 Ruffles trimmed. 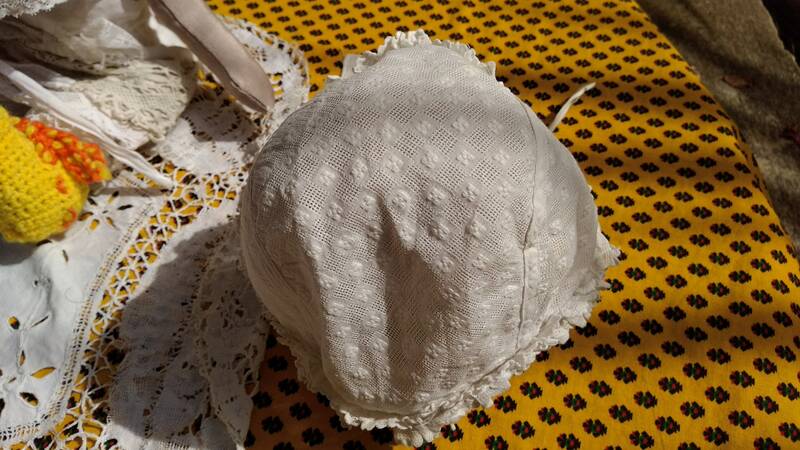 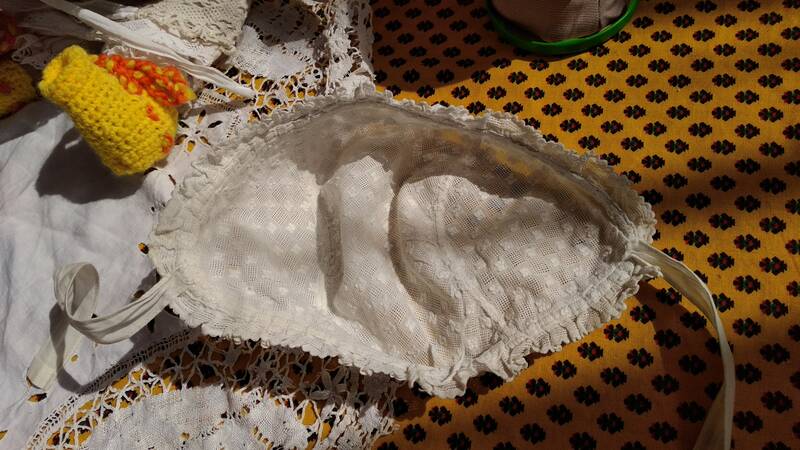 White Cotton hat from 1900's.